We at Aspirinox Inc. are one of the foremost dealer Nickel 201 Buttweld Fittings that manufactured using high-quality raw material and widely used in electrical and electronic parts, petrochemical industry, in reactors and vessels, oil and gas industry, water waste management, chemical shipping drums, aerospace components and in missiles as well. We export as well as manufacture excellent quality Nickel 201 Elbow Fittings, Nickel 201 Pipe Reducer, Nickel 201 End Cap, Nickel 201 Cross and Nickel 201 Pipe Bends. All of which provides excellent resistance to dry fluorine, creep, general corrosion and sulfuric acid. We are provided with the finest raw materials from reliable and leading market sources. We also offer great services and packaging so the product reaches you safely, without any damage. Nickel 201 Seamless Buttweld Fittings and Nickel 201 Welded Buttweld Fittings have great thermal properties, resistance to acid attacks, to corrosion (hydroxide in particular) and creep resistant. As they are made of wrought iron, they provide increased strength, high durability, and good thermal properties. 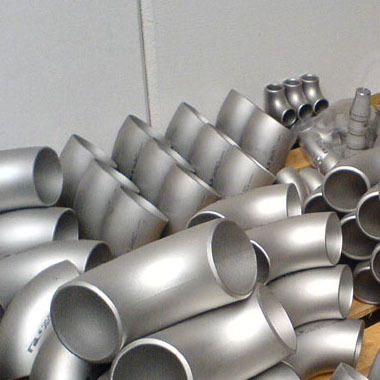 Our professionals have many years of experience in offering Alloy 201 Pipe Fittings with fine finishing so our clients won’t have trouble handling them. Please contact us today for you buttweld fittings products. Specifications for Nickel 201 Buttweld Fittings. If any specification is not mentioned here, please use the contact button for quick quote. Contact us or click on request a quote button to get our competitive prices for Nickel 201 Buttweld Fittings . Aspirinox Alloys INC maintain the large inventory of high-quality Nickel 201 Buttweld Fittings for sale to our clients throughout globally.